Private George Herbert "Herb" Walker was born in Sheffield, England. In 1893, when he was a teenager, his family came to Manitoba to farm three miles north of Birtle. Walker was a farmer by trade, but also a well-known drummer and singer. On his attestation papers he lists three years volunteer service with a military band back in Sheffield. He was one of the organizers of the Birtle town band in the 1890s and served as its bandmaster in 1902. 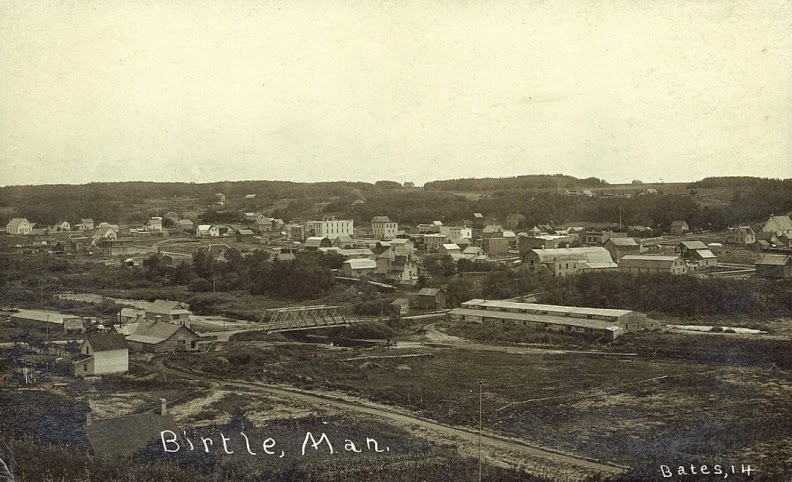 In 1910 he sang at the opening ceremony for Birtle's Town Hall. 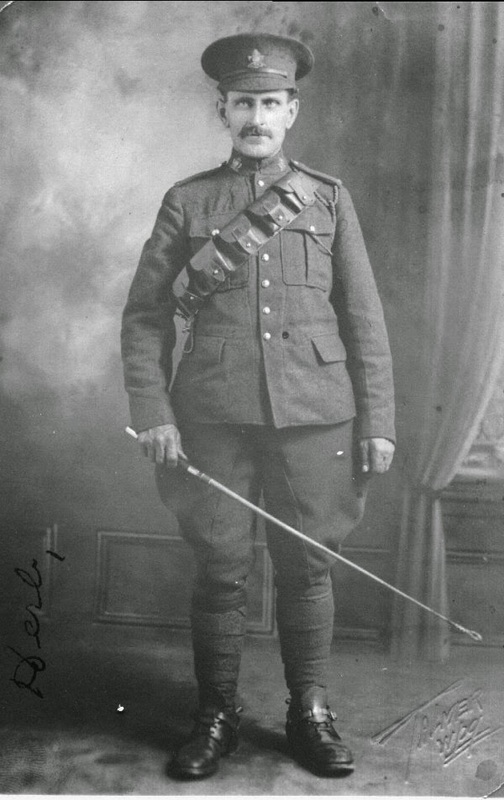 In 1917 he enlisted in Winnipeg with the Canadian Army Service Corps and was later transferred to the Royal Winnipeg Rifles where he also played in the 8th Battalion Band. He was killed on August 9, 1918 in the Battle of Amiens at the age of 45. I could find no details about his death. He is buried in the Manitoba Cemetery, outside Caix, France. On the evening of Sunday, September 1, 1918 a memorial service was held at the Union Church of Birtle, (now Birtle United Church), for both Walker and Vaughn Watt, another a local farmer and musician who was killed on the same day. Walker left behind widow Mary Frances McKay, whom he married in 1905, and three children ranging in age from 8 to 12. This soldier's history has been pieced together using a number of sources. If you have additional information or would like to point out a factual error, please do so in the comments below or by email at cassidy-at-mts.net. It appears that he enlisted with the 45th http://en.wikipedia.org/wiki/45th_Battalion_%28Manitoba%29,_CEF and then, as you said, got absorbed into the 52nd. That wasn't uncommon. I have come across many other soldiers who went across with one unit then got posted to another. I will include a write up on him in my blog series. You wouldn't have a photo, wold you ? My email is cassidy - at - mts.net. My third cousin was born in Nova Scotia15 July 1890, William Henry McDonald. About 1908 his widowed Mother, sister and he moved to Brandon. They were there in the 1911 census. William was a clerk in a bank. He enlisted August 23 1915. Killed in action north of Courcelette, France 26 Sep 1916. He was in a Quebec Infantry Regiment, 14th Bn. Wondered if the large War Memorial in Brandon lists individuals that were killed in action His Mother and sister were still in Brandon in the 1916 and 1921 census's.